Next up is Fiore (what a pretty name!) - a dark espresso brown creme. 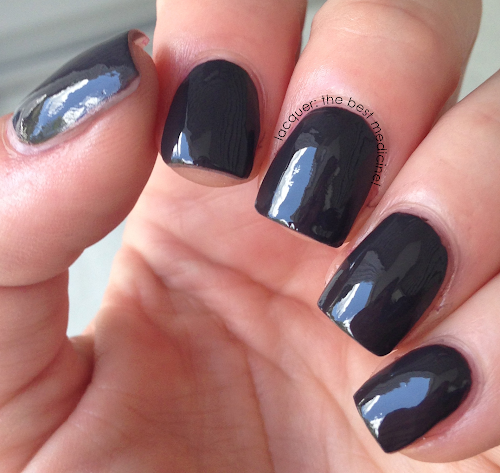 This one doesn't apply as smoothly as Nellie, so you'll definitely need two coats. On the bright side, this one dries super-quickly! Shown below is two coats without topcoat. I really like Fiore, it's such a nice colour, but more for fall or winter. Yes, definitely. I am excited to bring it back out in the colder months!